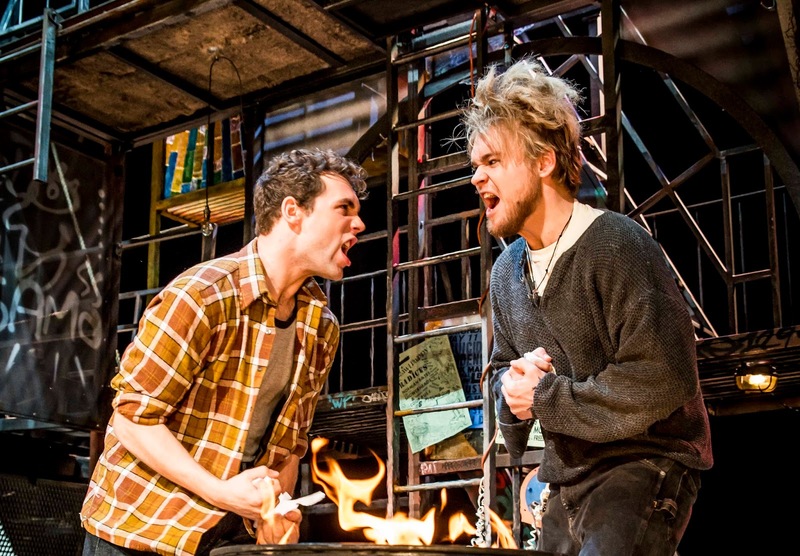 Ross Hunter is currently starring in the 20th Anniversary production of the cult classic RENT which tours the UK with a stop in London's St James Theatre from 8th December - 28th January. 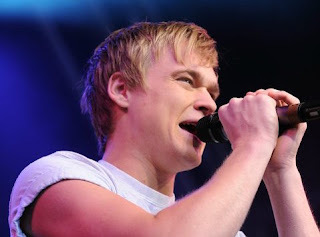 Ross has previously been in The Book of Mormon (Prince of Wales) played Drew in Rock of Ages (Garrick & Shaftesbury Theatre) and Legally Blonde (Savoy Theatre). Let's start with We Will Rock You, pretty early on in your career you understudied Galileo for a while, and must have rocked out with Queen's Brian May a fair few times... how was that? It was my first job out of drama school and to play the role at just 21 years old was incredible. The show itself means a lot to me, and the anniversary shows with Brian May and Roger Taylor were fantastic. 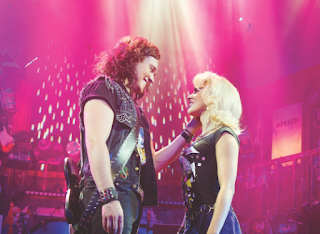 Then you jumped ship to the "other" rock musical, Rock Of Ages... what was your time like with that show? Physically demanding, vocally demanding but the most fun I have ever had on a job. The audiences were always brilliant and it’s a show that I think the West End misses. Not just a great show but a top night out! You've done a fair few 'rock' shows in your time, which one has been the most vocally demanding? Rock of Ages. I was involved in around 15 songs. It’s amazing how your voice becomes stronger by doing it night after night. It was such a high sing and I really had to look after my voice in that show. How do you look after your voice? Do you have the same regime in each show? Plenty of fluids and exercise. I make sure on matinee days I have been up for at least four hours and before evenings I like to warm up before the warm up! Then something slightly different, Legally Blonde and The Book Of Mormon - was it nice to be a little more cheesy? The Book of Mormon was a physically demanding track. To be that happy and that energetic every night takes some doing. I have a nice cheesy grin anyway so it always helped. 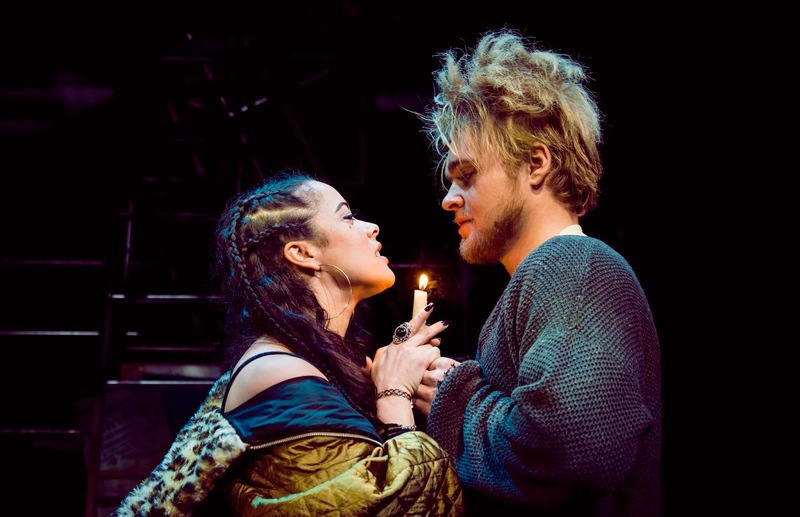 Now RENT, how are you finding the show so far? What a phenomenal cast! It’s a show everyone is familiar with and the vocals from the cast are out of this world. It’s a bit of a different role for me and Roger goes to quite a dark place in the show, but I’m loving all of the vocal parts and it’s great to rock out every night. RENT has a huge following, why do you think that is? jazz, incredible group numbers. It’s an amazing story that everyone can relate to in some way and the message it sends out is so heartwarming. What do you enjoy about the character of Roger? I love his journey throughout the show. He starts in a real dark place and in the end ends up having a more positive outlook on life. Also, it’s totally different to anything I’ve played before so it’s nice to explore something new. This is a pretty perfect role for you, would you agree? Guitar playing and all... does it combine lots of your interests? I was brought up by a very musical family. My mother played piano and my dad played guitar, so I have had it involved in my life for a while. It’s great to play guitar in the show and make the role my own. My favourite moment in the show has to be ‘Your Eyes.’ Its’ one of the first times that Roger is totally honest about his feelings and accumulation of Roger’s journey in the show. Do you enjoy touring? You've done a lot of work in the West End where you can build a bit of routine but this must be completely different? It’s great to see different parts of the UK. I’m particularly looking forward to heading close to the North East. My hometown is Middlesbrough and it’s a fantastic part of the world. 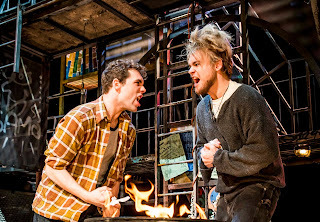 RENT tours for a while, but is there anything you'd like to try your hand at afterwards? Any roles that you'd love to have a go at, or your own music? I would like to write some songs and do more gigging. Singing is a huge passion of mine and I would like to explore this area of work in the future.